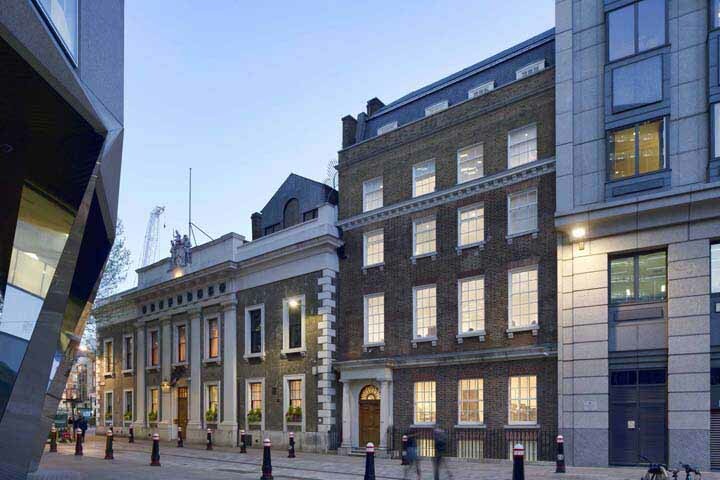 This business centre at 60 Gresham Street offers high quality Grade A office space in a superb location close to the Bank of England, Royal Exchange and the shops of Cheapside and One New Change. The business centre has discreet branding and fully furnished offices with comfortable kitchens and break out areas. Find more serviced offices near Bank. Contemporary glass-fronted office building at 288 Bishopsgate. 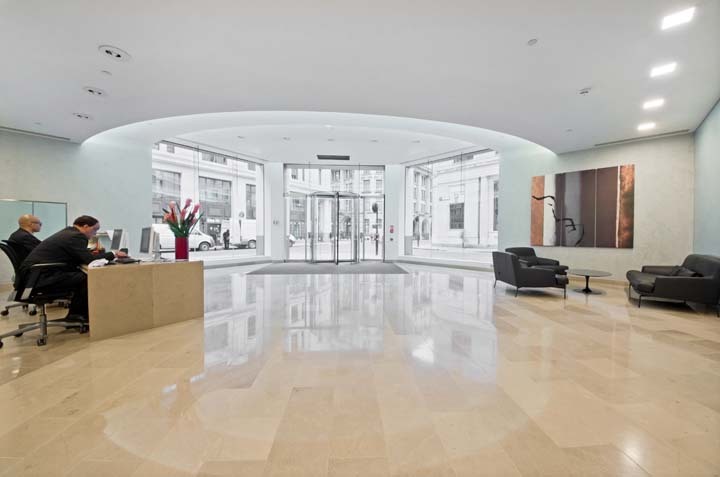 The property is just a stone's throw from Liverpool Street station and has 52 individual serviced offices arranged over six floors as well as impressive meeting rooms and facilities. 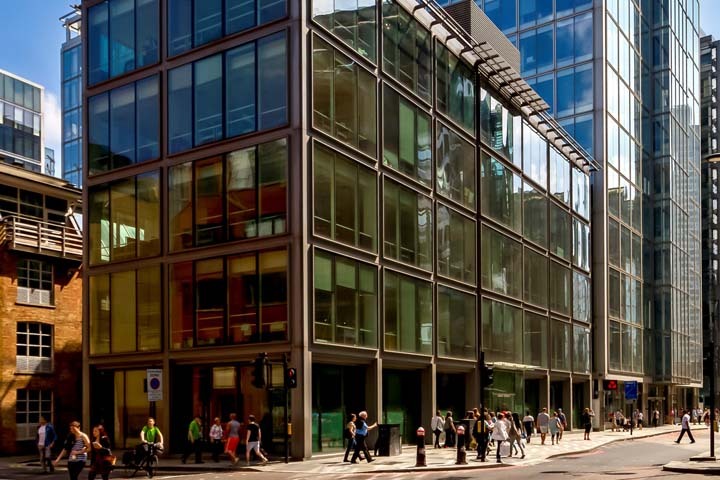 Find more serviced offices near Liverpool Street. 80 Coleman Street is a high quality serviced office business centre in a gorgeous Grade II listed Georgian townhouse just off London Wall, near Moorgate. 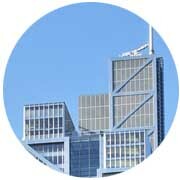 The well appointed offices have a number of excellent facilities and amenities, and flexible terms. 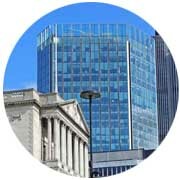 Find more serviced offices near Moorgate. The financial capital of Europe; iconic buildings at every turn; an incredible history; superb public transport links; and some of the best restaurants in London. 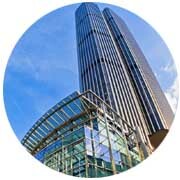 The City of London is a great place to work with an exceptional selection of high quality serviced offices, in modern landmark skyscrapers or in charming period properties that speak to the history of this unique place. Whatever style of office in the City of London you're searching for, TheCity.co.uk is here to help you the find the right Square Mile office space for your business. Start your office space search by typing something in to the search box above or browse the offices by their nearest major station below using the menu options and links on this page. London's Square Mile is home to some incredibly iconic landmark buildings designed by some of the most well known architects in the world. If you're looking to locate your business in a famous and recognisable property, take a look at the business centres and serviced offices below in prestigious, high-profile office buildings below. 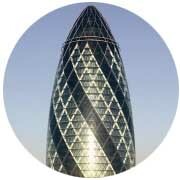 30 St Mary Axe is one of the most popular towers in the City of London because of its distinctive and instantly recognisable profile. With its antenna included, the Heron Tower in Bishopsgate is currently the tallest building the City. 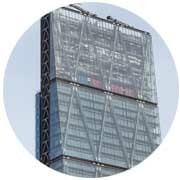 The Leadenhall Building in Leadenhall Street is affectionately known as the Cheesegrater thanks to unmistakable shape. Tower 42 was finished in 1980 and remained tallest building in the whole country until One Canada Square at Canary Wharf was built. This 1970s skyscraper in 125 Old Broad Street was home to the London Stock Exchange for over thirty years. Why a Serviced Office in the City? London office space has a multitude of options, by why serviced offices and why the City? Serviced offices are a convenient way for businesses of all sizes to access high quality professional business space. With all the outgoings associated with office space rolled up in to one convenient and easy-to-understand payment, serviced offices provide managed office space which is usually fully furnished to an excellent standard, and allow you to get on with your business without having to worry about the day to day issues of running an office. Business centres providing serviced office space are located all around the historic streets of the City of London, providing lots of choice on whereabouts in the Square Mile your next office will be. Our listings are grouped around the major stations in the City - the ancient heart of central London. Use the links in the menu to browse offices by nearest station or click here to see some of the most popular streets in the Square Mile for office space. 'Co-Working' Shared desk spaces in the City are fast growing in their popularity, especially for start ups, entrepreneurs and freelancers. Co-working business centres in London often put community at the heart of what they do with social and business networking opportunities. Take a look at our listings of co-working office space in the City of London to find out about the latest and coolest, open plan collaborative workspaces. If you need a bit more help finding the right office for you and your business, these pages show you Square Mile offices grouped by a specific feature.